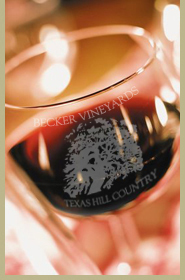 Taste port and stilton blue cheese, also try port shots at Becker Vineyards, Highway 290 East of Fredericksburg. Sample caramel, shoot some port and chase it with chocolate. This tasting is complimentary. Hours are Saturday 10:00am – 6:00pm and Sunday noon – 6:00pm.